The produced packaging solutions BioGeo ® is the leading eco proposal that respects the environment. 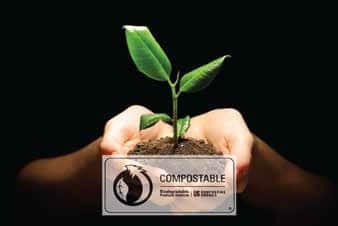 Derived from renewable resources of agricultural origin, vegetable starch, returning to earth via the processes of biodegradation and composting, reducing the volume of waste without releasing pollutants and converted into fertilizer according to the European Standard EN 13432. Apart from unrivaled customer service, GFP believes innovation and new product development are the the keys to meeting customers’ growing requirements. For all of us at GFP, keeping up to speed is not enough. We are constantly trying to meet our customers’ needs with innovative products and also looking for ways to improve our product lines to make them surpass the industry standards. Our progressive printing techniques and state-of-the-art equipment enable us to transform innovative ideas to the useable products with unbeatable speed and quality. We blend our forward-thinking approach with comprehensive equipment capabilities to help our customers reposition their existing design with other packaging options. We, therefore, guarantee you innovative packaging products and services that will improve your products’ value and shelf appeal. Georgiou Flexible Packaging believes in using the latest testing procedures to ensure product success and integrity. We take pride in the effectiveness of the high-tech lab testing facilities available at our plant’s location. 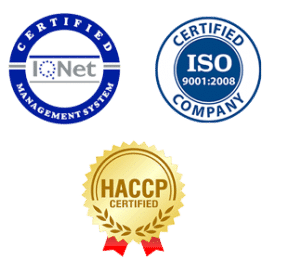 Also, the ability to carry out comparative properties diagnostics on different packaging materials in our ISO 9001 and HACCP certified in-house labs, allow us to better improve even more our existing products. Being able to do this enables us to offer increased product success rate, along with potential benefits in the packaging products we offer. Using advanced technology, we are developing and innovating sustainable flexible packaging products.